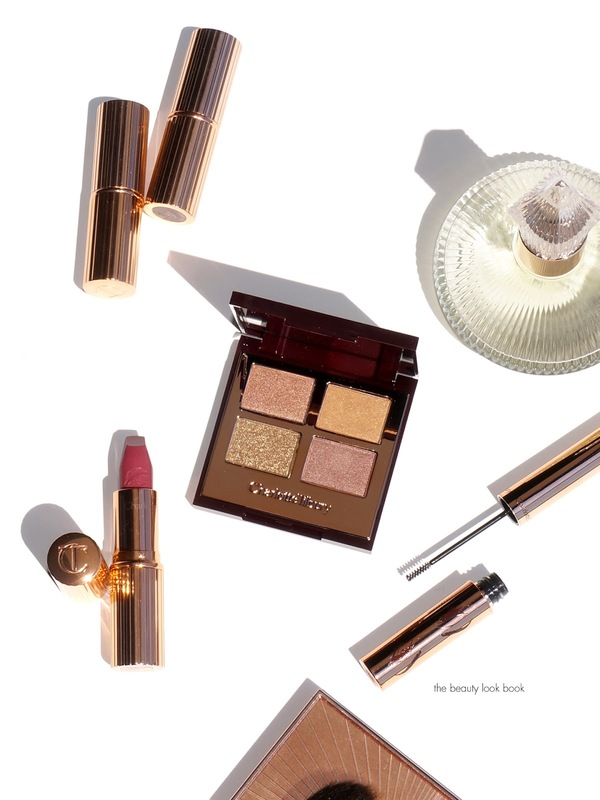 Charlotte Tilbury just launched her fourth Instant Look in a Palette in a neutral-cool toned option called the Smokey Eye Beauty. This is currently a Beautylish exclusive and in terms of color options this is one of the deeper ones that she has launched. The colors themselves are pretty basic and standard but the quality is on point and colors are easy to use so it makes for a good everyday option. These Instant Look in a Palettes are designed for a basic five minute face. They have enough colors that you can do a quick look with or use on-the-go. In concept the number of colors in the palette is just the right amount for a full look for makeup color (minus base, concealer, lips, mascara, brows etc.). I’ve found that I still need 2 more eye products to really finish the look for me as I tend to do a lot of blending and I need some kind of creamy shadow stick as a base to help the powders adhere or blend better. My previous reviews of the other three linked with Natural Beauty, Seductive Beauty and Beauty Glow. Smokey Eye Beauty has three eyeshadows, one bronzer, two cheek colors and one highlighter. The top three eyeshadows include a pale champagne shimmer, medium cool brown matte, dark matte black with navy tinge. All three are extremely smooth and well pigmented. They are easy to blend and apply but they are on the powdery side with powder kick up. The contour bronzer is a light to medium brown, it has a subtle sheen to it which makes it natural looking. It’s cool-toned on my skin. The two cheek colors are a light warm pink and a medium warm pink, both soft and also natural looking. The highlighter is a pale gold which is supposed to be the Bar of Gold. I never tried it so I can’t compare it to the original. This one has a stiffer texture which makes it look sheer on my skin. Long-time readers know how I feel about yellow golds. This one is pale enough that you can’t really see the yellow tone once on the skin so for me it’s actually a lot more wearable than I anticipated just from looking at it in the pan. Bottom line a solid performer. Colors, texture and pigment are all very wearable. As with powders there will be some powdery-ness and kick up, this one seems to have a little more than most but it wasn’t problematic. Color-wise the shades to me aren’t the most unique or exciting but they show up in a natural and soft way that is 100% wearable. I do think the combination of colors is great for ease of use. Sometimes an effortless palette is just what I need – this one is versatile enough to wear for a number of occasions and will go with all kinds of lip colors, light, deep, warm and cool. I give it a thumbs up. I will be reviewing the Instant Eye Palette soon (waiting on my order) – reviews have been really mixed, so it will be interesting to test this in person. 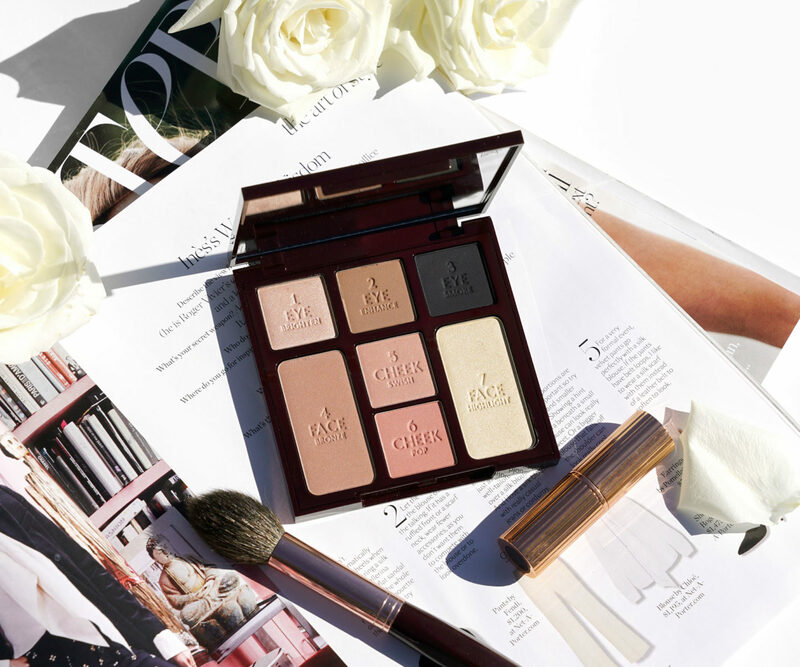 You can find the Charlotte Tilbury Instant Look in a Palette Smokey Eye Beauty exclusively at Beautylish right now. It retails for $75. Thanks to Beautylish for sending this to me to review.